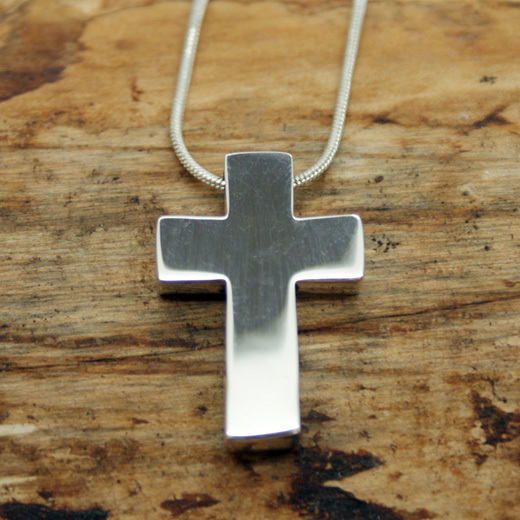 A modern sterling silver cross pendant from Pura Mexico. 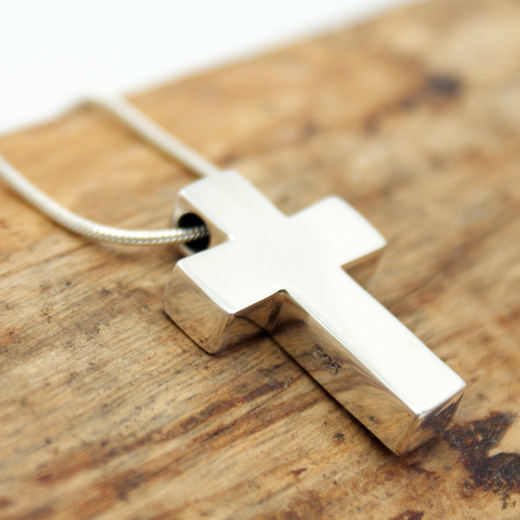 This well made cross is from one of our leading designers in Mexico. It comes complete with a free 18 inch silver plated snake chain to create a beautiful necklace. You can also buy a different chain here or use one you already have. 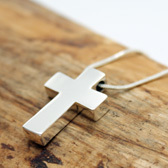 A high quality silver plated Pura Mexico pendant and great value. Like all of our products, it is brand new and in stock in the UK, ready for our super fast shipping. Not what you are looking for? 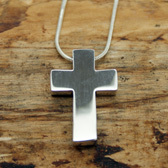 We have a wide range, see the silver cross pendant gallery for other options.